This chic, most modern & stylishly decorated banquet room lends an aura of grandeur to any occasion, Equipped with flexible seating arrangements, separate entrance, track focus lighting and latest state of the art audio-video facilities. 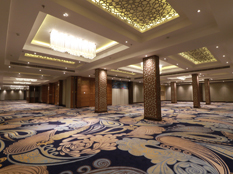 This exclusive banquet room covers an area of around 2400 sq.ft. 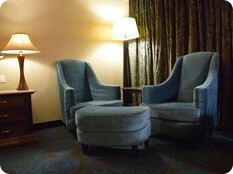 and can accommodate up to 250 persons. Just right for your high profile conference or a private celebration. 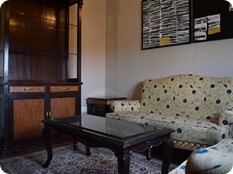 The hotel has a 24 hour business centre with all the latest in office automation and secretarial services. The newly added state of the art Board Room boasts of latest technological advancements like high resolution Plasma TV, LCD Projector, OHP, Laptop connectivity and Video Conferencing facility with luxurious seating for 11 executives making it the ideal junction for private business meets. A stronghold of state of the art technology. Virtually your very own private office. The business centre puts at your disposal an amazing array of contemporary business facilities. Internet facility to keep you e-connected. The best of audio visual conference facilities, secretarial services, word processing, individual work stations, you have it all. With characteristic charm & innovation, The Piccadily provides you with all the services & facilities that you require to facilitate a smooth & memorable function. From business facilities to leisure, entertainment to cuisine, we have thought of everything. A wide variety of seating arrangements can be made to suit your requirements. The larger areas could have several styles of seating like theatre, boardroom, ballroom, Sit-down, U shaped, etc. Specific arrangements can be tailored to the particular requirements of the function. The hotel provides you with a host of highly sophisticated Audio Visual equipment, be it the ceiling mounted projection system, track focus lighting, motorized screen, a simple OHP or elaborate Video Conferencing. In case of any additional or special requirement, we would be pleased to be of assistance. Please refer to our Audio Visual list for further details. Basic Flower arrangements are provided by the hotel. For marriages, receptions or for any other special occasions, arrangements can be made to suit your taste & style. We would be pleased to assist you in engaging entertainment agencies, Bands and other artists for your function. Specialist agencies that can help create spectacular themes and also any special entertainment requirement. The hotel is well equipped to provide you with all the modern, state of the art conference aids; if however you do need any special equipment, we would be pleased to be of service. We pride ourselves on our wide variety of cuisine that is as innovative as it is appetizing. You can opt for international, local or fusion cuisine and discover how our creative touches can make your dining an unforgettable experience. A limited bar or a full bar with all the leading brands of spirits would be provided, as required. Please refer to our beverage selection. The hotel provides Valet parking and has a parking space for about 100 cars in the front car park.